September Birthstone Ring with Blue Sapphires. 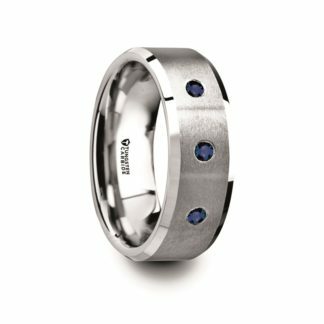 Stunning 3-Inlay Blue Sapphires Design featuring 8 mm Tungsten Carbide with beveled edge design, complete with comfort fit styling. 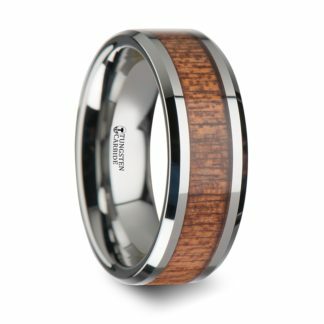 Tungsten carbide is the most durable and scratch-resistant contemporary metal on the market and is known for its permanent shine and luster. On the Mohs Hardness Scale it is rated 9.5 with diamonds rated 10. Availability. 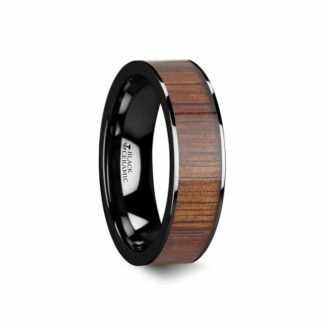 This is an “in stock” ring – it will typically ship within 1-2 business days. Returns. 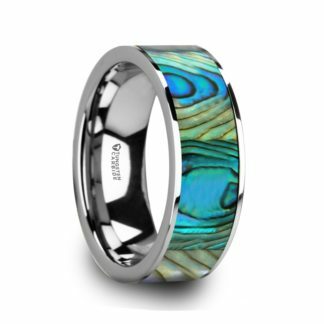 If you do not like the style of this ring for whatever reason, please return it within 30 days for a full refund or trade it for a new style – your choice. Sizing. We have a wide variety of sizes for this ring and if the ring you have ordered is not the correct size, please contact us for a replacement size. This sizing option is part of our lifetime warranty. 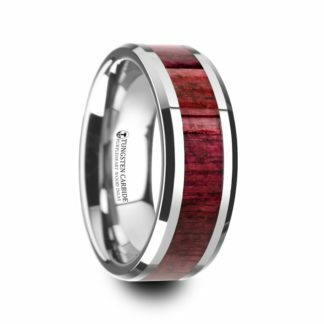 A small fee may be charged when returning this ring for a different size after 30 days. If you are unsure of your exact size we are happy to send you a tungsten sizing ring (one or more) that will be shipped to you prior to sending you the style you ordered – this service is free of charge.